12 pre-programmed beat frequency settings. 1 - 99 minute time adjustment. Frequency and timer digital displays. TENS/EMS Units & Stimulators can be found in our extensive online collection of products from globally recognized and trusted brands, including Amrex. 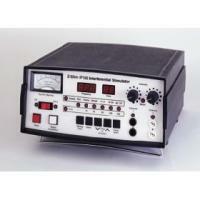 An excellent option to consider is the Z-Stim IF150 Interferential Stimulator.